In class we talk about bias. I’ve spent more time talking about bias in classrooms than I did as a full-time writer and editor. As a working journalist, we never talked about bias—we just did our job of reporting. Fairly. But in class, it’s bias, framing, spinning. One student defined bias as the lens through which we see the world. So we can’t help but be biased. Our lenses comprise our selves. But what if we extract our selves from the equation? Then we would align more with American Indian ways-of-knowing. Heck: sounds like Buddhist teaching to me. When Honey and I go to the Zen center on Saturdays we sit on mats and meditate. OK: truth is I sit on a mat, my mind wanders, and I pretend to meditate. I sorta get the teachings about self, and how extracting the self lets you see the world more clearly, with less bias. Isn’t that also how we practice science? Aren’t our teachings in science based on extracting the self so we can see the world with less bias? 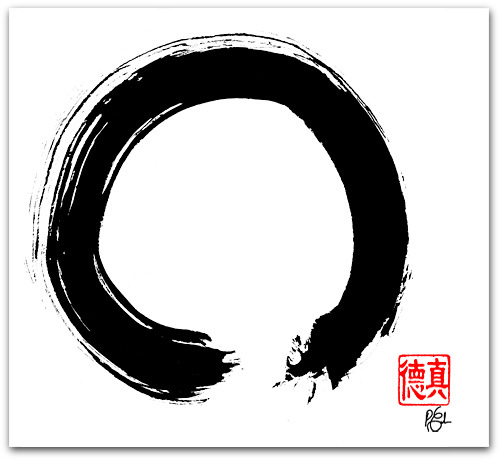 Is science practice Zen practice? This entry was posted in american indian, authenticity, framing, Indian, journalism, native american, Native Science, writing and tagged Indigenous Science, native american heritage month, native science, rhetoric, science. Bookmark the permalink.